The body of Keith Green was found earlier this month in Sonoma County, weeks after he was first reported as missing. 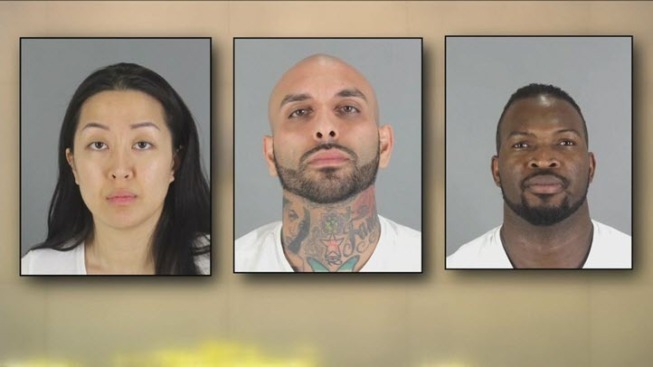 Three people accused of killing a Millbrae father appeared in court for the first time Tuesday. His former girlfriend Tiffany Li and two other people are charged with murder. On Tuesday, the District Attorney’s office charged the suspects with murder and possession of a firearm in court, but investigators aren’t saying if that gun was used to kill Green. Li’s parents left a Redwood City courtroom Tuesday afternoon following their daughter’s first appearance in front of a judge. A Peninsula mother is now accused of killing her children’s father. Michelle Roberts reports. Li and her boyfriend Kaveh Bayat along with their friend Olivier Adella are charged with murder and a special allegation of possessing a firearm. Cameras weren’t allowed in the courtroom but the Assistant District Attorney Al Serrato said his office has a strong case against the three suspects. “Motives are things we’re looking for. They intuitively explain why a crime occurred,” Serrato said. The suspects did not enter a plea Tuesday. Instead their lawyers asked the judge for more time to review the case. Outside the courthouse, Geoff Car, who is representing Li, said his client is holding up fine. “Our client is presumed innocent. it is my job to endeavor to see that presumption remains through a trail,” Car said. The suspects are being held without bail. They are scheduled to be back in court on Wednesday to enter a plea.